I first tried this recipe just over a year ago when I visited my very old (as in ‘known a long time’ and definitely not as in ‘aged’) friends from my college days. This rice and meat recipe is a dish from the Middle East which is traditionally used as a stuffing but can also be eaten as a main meal on its own. It is extremely fuss-free to make and takes little time. The spices fill the house with the delicious aroma as it cooks and it quickly became a firm favourite in our home. Here is the recipe as given to me by my friend. Thank you very much, Mary! Wash the rice and leave to soak. Put beef in a pot with about a quarter of a packet of butter and fry on a medium heat. When beef starts to brown add half a teaspoon of ground nutmeg, half a teaspoon of ground cinnamon, a teaspoon of ground all spice, half a teaspoon of ground spice and half a teaspoon of ground black pepper and salt to taste. Mix well into the beef and continue to cook until beef is cooked through. Add 3 cups of rice (make sure the rice has been soaked and washed the longer you soak it the quicker it cooks). 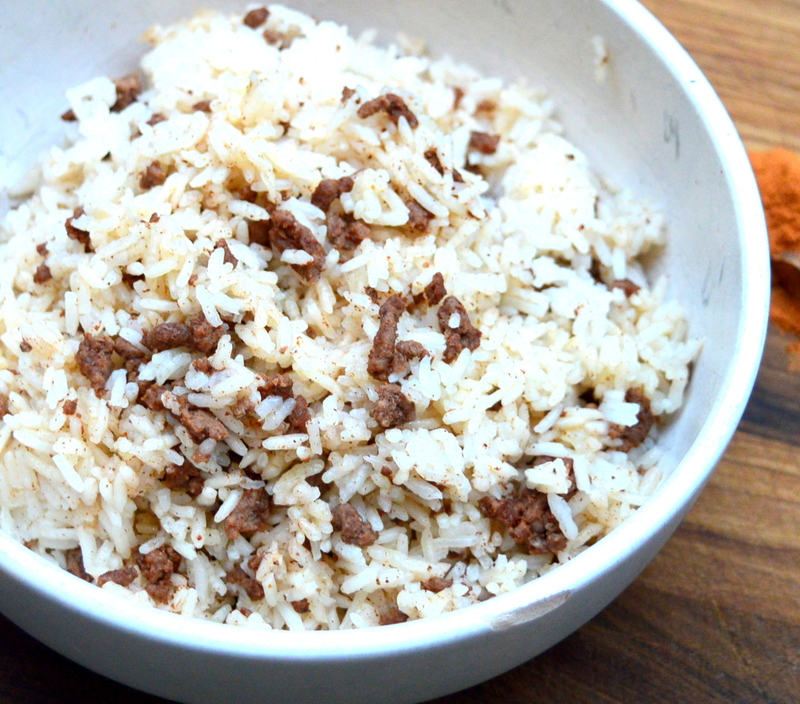 Mix rice into beef and continue to cook before adding boiling water to cover rice and about an inch above rice. Lower heat and leave to cook until water has gone. Let stand for about 10 mins. Mix well then serve.